Contractors working with the Federal Government are often asked, “can you send me your Capability Statement?” in some form or another. It happens when you’re responding to a Sources Sought Notice, meeting with an agency representative or just attending an event with a strong Federal presence. But do they always mean the same document? How many different types of Capability Statements are there and how can I know which ones to use in specific situations? This blog post hopes to demystify the various types of Capability Statements and when you should use them. This is the most effective Capability Statement you can craft; it is also the most time-consuming. This version will be different for just about every opportunity you’re trying to procure because it will speak specifically to that opportunity, that agency, or that prime contractor. The goal of sending out any Capability Statement is to present your businesses as capable, effective, professional, and successful at doing the work you’re trying to win. To that end, tailoring your Capability Statement specifically to the agency or prime contractor you’re attempting to win work from is an excellent way to showcase how different your company is from everyone who sent out a general statement. The majority of clients who contact TargetGov to develop their Capability Statement are looking for a “General Capability Statement.” Something they could send to any agency or prime contractor at any time. However, the General Capability Statement has limited uses, it isn’t going to be as effective as a Targeted Capability Statement when reaching out to specific Federal Agencies or Prime Contractors. If you know exactly who will be receiving your Capability Statement, we at TargetGov recommend tailoring it to address their needs. This Capability Statement doesn’t look anything like the other Capability Statements in this list. In fact, the only thing it has in common with the other types of Capability Statements is the name. This can be a confusing exercise for contractors because they’ve become so familiar with the Capability Statements as a marketing document. What the Federal Government is looking for when they ask for a Capability Statement in a Sources Sought Notice is actually an answer of the notice itself. 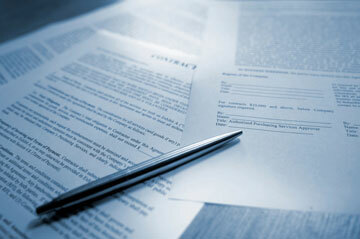 They will outline exactly what information they want you to provide and in what format. It is very important that you DO NOT send your normal Capability Statement, even as a secondary attachment. It will not help, and may even hinder your ability to market to that agency or decision maker because they will think you are not following their specific directions. 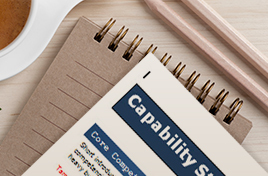 If you’re having trouble developing a successful Capability Statement of if you’re unsure which type you should be using and when, check out our Capability Statement Resources or contact the experts here at TargetGov and we’ll see how we can best help you.